A local college has created a scholarship fund in honor of a slain police officer. Towson University has announced the creation of the Amy Sorrells Caprio Scholarship Endowment. Officer Caprio was run down in the line of duty in a Perry Hall neighborhood while investigating a burglary. She was a Towson University graduate. 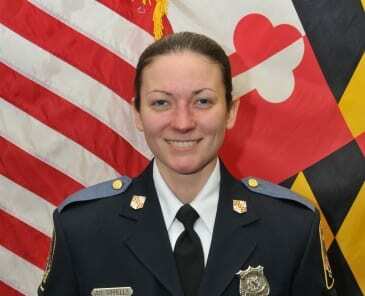 For nearly four years, Amy Sorrells Caprio ’10 dedicated herself to serving Baltimore County as a police officer. Her life tragically ended in the line of duty in May 2018, but her legacy lives on through the scholarship in her name at Towson University. The Amy Sorrells Caprio Scholarship Endowment honors Amy’s legacy as a Tiger, providing scholarship support to those students following in her footsteps at TU. For more information, or to donate to the scholarship fund, click here.